The Empire blinked. Several times. The DPRK: remember all the grandiose threats made by Trump and his Neocon handlers? The Administration went as far as announcing that it would send as many as THREE(!) nuclear aircraft carrier strike groups to the waters off the DRPK while Trump threatened to “totally destroy” North Korea. Eventually, the South Koreans decided to take matters in their own hands, they opened a direct channel of communications with the North, and all the US sabre-rattling turned into nothing more than hot air. Syria in April: that was the time when the US, France and the UK decided to attack Syria with cruise missiles to “punish” the Syrians for allegedly using chemical weapons (a theory too stupid to be even worth discussing). Of 103 detected missiles, 71 were shot down by the Syrians. The White House and the Pentagon, along with their trusted Ziomedia, declared the strike a great success, but then, they also did that during the invasion of Grenada (one of the worst assault operation in military history) or after the humiliating defeat of Israel by Hezbollah in 2006, so this really means very little. The truth is that this operation was a total military failure and that it has not been followed up by anything (at least for now). The Ukraine: we spend almost all of 2018 waiting for an Ukronazi attack on the Donbass which never happened. Now, I am quite sure that some will argue that the Nazi junta in Kiev never had any such intentions, but anybody with even a basic knowledge of what took place in the Ukraine this year knows that this is pure bull: the junta did pretty much everything to execute an attack except the very last step: to actually order it. Putin’s open threat that any such attack would have “grave consequences for Ukraine’s statehood as such” probably played a key role in deterring the Empire. Oh sure, the Ukronazis might well attack in January or any time after that, but the fact is that in 2018 they did not dare do so. Yet again, the Empire (and its minions) had to back down. Syria in September: this time, it was the Israeli hypostasis of the Empire which triggered a massive crisis when the Israelis hid their strike aircraft behind a Russian Il-20 large turboprop airliner resulting in the loss of the aircraft and crew. After giving the Israelis a chance to come clean (which, predictably, they didn’t – they are, after all, Israelis), the Russians got fed up and delivered advanced air defense, electronic warfare and battle management systems to the Syrians. In response the Israelis (who had issued many threats about immediately destroying any S-300 delivered to the Syrians) had to basically stop their air strikes against Syria (well, not quite, they did execute two such strikes: one totally ineffective one and one in which the Zionist crazies again hid behind an aircraft, but in this case, no one but TWO civilian aircraft (more about this latest ziocrazy stunt further below). The Empire backed down again. Syria in December: apparently fed up with all the infighting amongst his advisors, Trump eventually ordered a full US withdrawal from Syria. Now, of course, since this is the USA, we have to wait and see what actually happens. There is also a very complex kabuki dance being executed by Russia, Turkey, the US, Israel, Iran, the Kurds and the Syrians to stabilize the situation following a full US withdrawal. After all the years of huffing and puffing about how “Assad The Monster must go” it is quite amusing to see how the western powers are throwing in towels one after the other. This also begs the obvious question: if “The City On The Hill And Sole Superpower On The Planet, The Leader Of The Free World and the Indispensable Nation” can’t even deal with a weakened Syrian government and military, what can this military successfully do (besides provide Hollywood blockbusters to a gullible US public)? Various smaller defeats: too many to count, but they include the Khashoggi fiasco, the failure of the war in Yemen, the failure of the war in Afghanistan, the failure of the war in Iraq, the failure to remove Maduro from power in Venezuela, and the gradual loss of control over an increasing number of EU countries (Italy), Nikki Haley’s ridiculous antics at the UNSC, the inability to gather up the intellectual resources needed to have a real, productive, meeting with Vladimir Putin, the disastrous commercial war with China, etc. What all these events have in common is that they are a result of the inability of the US to get anything done, truly done. Far from being a real superpower, the USA is in a full-spectrum decline and the main thing which still gives it its superpower status are its nuclear weapons, just like Russia in the 1990s. All the internal problems resulting from the infighting of the US elites (roughly: the Clinton gang vs Trump and his Deplorables) only make things worse. Just the apparently never ending sequence of resignations and/or firing from the Trump Administration is a very important sign of the advanced state of collapse of the US polity. Elites don’t fight each other when all goes well, they do so when everything goes south. The saying “victory has many fathers but defeat is an orphan” reminds us that when a gang of thugs begins to lose control of a situation, it rapidly turns into an “every man for himself”, everybody blames everybody for the problems and nobody wants to stay anywhere near those who will go down in history as the pathetic losers who screwed everything up. 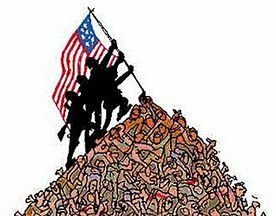 As for the US armed forces, they have been tremendously successful in killing a very large amount of people, as always, mostly civilians, but they failed to get anything actually done, at least not if one understands that the purpose of war is not just to kill people, but is the “continuation of politics by other means“. Let’s compare and contrast what Russia and the US did in Syria. On October 11th, Putin declared the following in an interview with Vladimir Soloviev on the TV channel Russia 1: “Our objective is to stabilize the legitimate authority and create conditions for a political compromise“. That’s it. He did not say that Russia would single-handedly change the course of the war, much less so win the war. The (very small!) Russian task force in Syria achieved these original objectives in just a few months, something which the Axis-of-Kindness could not achieve in years (and the Russians did that with a small fraction of the military capabilities available to the US/NATO/EU/CENTCOM/Israel in the region. In fact, the Russians even had to quickly create a resupply system which they did not have because of the purely defensive Russian military posture (Russian power projection is mostly limited under 500-1000km from the Russian border). In comparison, the USA has been fighting a so-called GWOT (Global War on Terror) since 2001 and all it can show is that the terrorists (of various demonstrations) only got stronger, took control of more land, murdered more people, and generally seemed to show a remarkable ability to survive and even grow in spite of (or thanks to) the GWOT. As Putin would say, what would you expect from “people who don’t know the difference between Austria and Australia“? Personally, I would expect them to take full credit for the victory and leave. 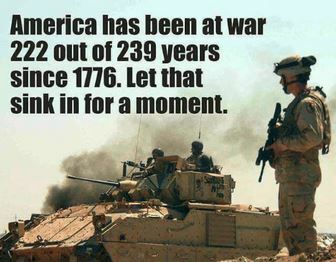 Which is exactly what the USA has done. At least that is what they are saying now. This could change 180 degree again. As for Afghanistan, the USA spent more time there than the Soviets did. Does that no strongly suggest that the US leaders are *even more* incompetent than the “stagnation” era Soviet gerontocrats? Putin’s speech on March 1st to the Russian Federal Assembly was truly a historical moment: for the first time since the Empire decided to wage war on Russia (a war which is roughly 80% informational, 15% economic and only 5% kinetic but which can turn 95% kinetic in one hour or so!) the Russians decided to openly warn the USA that their strategy has been comprehensively defeated. You think that this is hyperbole? Think again. What is US military power based on? What are it’s main components? The deployment of what are without any doubt the most sophisticated air-defense systems in the world supported what are also probably the most formidable electronic warfare (EW) capabilities currently in existence have now have now created what the US/NATO commanders refer to as a “Russia’s anti-access/area denial (A2/AD)” capability which, so do these US/NATO commanders say, can pop-up over the Baltic Sea, over the Eastern Mediterranean, the Ukraine, Syria and elsewhere (might show up on the La Orchila island in Venezuela in 2019). Furthermore, in qualitative terms Russian tactical airpower is newer and at least equal, if not superior, to anything in US or NATO tactical aircraft holdings. While the West in general, and especially the USA, have a much larger number of aircraft, they are mostly of the older generations, and various encounters between Russian and US multirole aircraft in the Syrian skies have shown that US pilots prefer to leave when Russian Su-35S show up. The deployment (already in 2018!) of the Kinzhal hypersonic missile has basically made the entire US surface fleet useless for an attack against Russia. Be it the aircraft carriers or even various destroyers, cruisers, amphibious assault ships, (mostly ill-fated) littoral combat ships, transport ships, etc. – they now are all sitting ducks which the Russians can blow out of the water irrespective of any air-defenses these ships, o or their escorts, might have. Likewise, the deployment of the super-heavy thermonuclear armed intercontinental ballistic like the Sarmat and the Avangard hypersonic glide vehicle have made all of the US anti-ballistic missile efforts completely useless. Let me repeat this: ALL of the US ABM efforts, including the billions spent on research and development, have now been rendered completely useless. Finally, the deployment of a new generation of advanced and very long range standoff missiles by Russia has given Russia the huge “reach” advantage of being able to strike any US target (be it a military force or a base) worldwide, including in the United States (which now is almost never mentioned in the western media). Now take a look at the list of key components of US military power above and see that it has all been transformed into, basically, junk. What we have here is a classical situation in which, on one side, one country’s force planners made fundamental, strategic miscalculations which directly defined what kind of military force the country would have for at least two, possibly three, decades, while, on the other side, the force planners made the correct decisions which allowed them to defeat a military force whose military budget is roughly ten times bigger. The most severe consequence of this state of affairs for the USA is that it will now take at the very least a decade (or more!) to reformulate a new force planning strategy (modern weapons systems sometimes take decades to design, develop and deploy). The ill-fated Zumwalt, the F-35, the Gerald R. Ford (CVN 78) aircraft carrier – these are all obscene examples on how to spend billions of dollars and be left with major weapon systems disasters which only further weaken the US armed forces. Thanks to the globalists, the US industrial base is gone. Thanks to the Neocons and their arrogance, the US is in one form of conflict or another with most of the key countries on the planet (especially if we ignore the existence of US-supported and run comprador elites). The infinitely dumb and self-defeating submission of the US to Israel has now resulted in a situation where the USA is losing control of the oil-rich Middle-East it used to run for decades. Finally, by choosing to try to submit both Russia and China to the will of the Empire, the Neocons have succeeded in pushing these two countries into a de-facto alliance (really a symbiotic relationship) which, far from isolating them, isolates the USA from “where it is happening” in terms of economic, social and political developments (first and foremost, the Eurasian landmass and the OBOR project). Unless the USA changes political course and gives up on the suicidal russophobia of Obama and Trump, a military confrontation between Russia and the USA is inevitable. Russia has retreated as far as she possibly can, there is nowhere else to retreat and she therefore won’t. There is no doubt in my mind whatsoever that if the US had actually targeted Russian units in Syria (which, apparently, Bolton wanted but Mattis, apparently, categorically rejected), the Russians would have counter-attacked not only against the US missiles, but also against their carriers (especially ships). I have it from a trusted source that on the night of the attack, the Russian MiG-31K with the Kinzhal missile were in the air ready to strike. Thank God (and, possibly, thank Mattis) this did not happen. 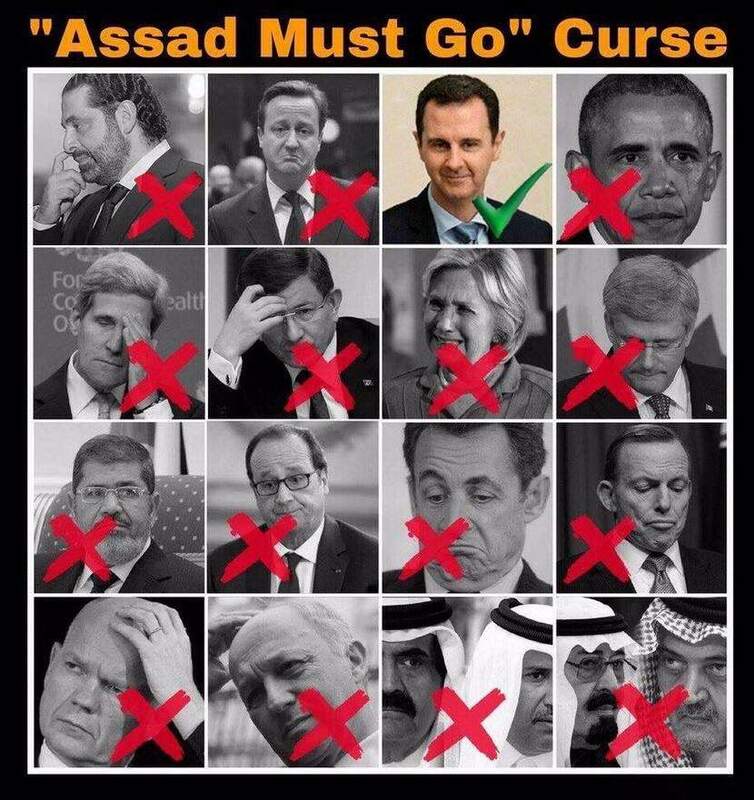 But as I said in my article “Every click brings us closer to a bang!” each time WWIII does not happen following a US strike on Syria this emboldens the Neocons to try yet once more, especially since “Assad The Monster Must Go” remains in power in Damascus while one after the one each western politician which decreed that Assad must go, goes himself. I don’t think that it is worth pondering here that Israel is the last openly racist state on the planet, or that the Israeli leaders are evil, immoral, insane and generally batshit crazy maniacs. That you either understood for yourself or you are hopeless. What is important here is not how evil the Israelis are, but how stupid and totally reckless they are. Simply put, this is how this works: the Israelis are evil, stupid and completely delusional, but they own every single US politician which means that no matter how insane and egregious the actions of the Israelis might be, the “indispensable nation” will *always* cover them and, when needed, cover-up for them (cf. USS Liberty or, for that matter, 9/11). Right now there is nobody in the US political class with any chance of being elected who would dare to do anything other that automatically worship anything Israeli (or Jewish, for that matter). The real motto of the USA is not “In God we trust“, but “there is no light between the U.S. and Israel” (yet another reason why the USA is not a real superpower: it is not even really sovereign!). The Empire has some major problems in Europe. First, should the Ukronazi protégés of the USA ever find the courage (or despair) to attack the Donbass or Russia, the resulting chaos will flood the EU with even more refugees, many of whom will be most unsavory and outright dangerous characters. Furthermore, the anti-EU feelings are becoming very strong in Italy, Hungary and, for different reasons, even Poland. France is on the edge of a civil war (not this time around; my feeling is that the Gilets Jaunes will eventually run out of steam; but the next time around, which will happen sooner rather than later, the explosion will probably result in the overthrow of the French CRIF-run regime and a massive anti-US backlash. In Latin America, the Empire has been massively successful in overthrowing a series of patriotic, independent, leaders. But what is missing now is the ability to make these pro-US regimes successful by being economically or politically viable. Amazingly, and in spite of both a massive subversion campaign by the USA and major political mistakes, the Maduro Administration has remained in power in Venezuela and is slowly but very resolutely trying to change course and keep Venezuela sovereign and independent from the USA. The key problem of the USA in Latin American is that the USA has always ruled by using a local comprador elite. The USA has been very successful in this effort. But the USA has never succeeded in convincing the Latin American masses of people of its benevolence and this is why the word “Yankee” remains a slur in every Latin American country. In Asia, China is offering every US colony an alternative civilizational model which is becoming increasingly attractive as the PRC is becoming more economically powerful and economically successful. It turns out that the usual mix or arrogance, hubris and ignorance which allowed the Anglo countries to dominate Asia is now losing its power and that the people of Asia are looking for alternatives. Truth be told – the USA has absolutely nothing to offer. There is a saying in Russian “better to have an horrible end (than to have to live through) a horror with no end” (лучше ужасный конец чем ужас без конца). There is very little doubt that the decline of the AngloZionist Empire will continue in 2019. What will not change, however, is the ability of the USA to destroy Russia in a nuclear attack. Because, make no mistake, all that the new fancy Russian weapons provide is the capability to punish (retaliate against) the USA for an attack on Russia, but not the capability to deny (prevent) such an attack. If the Neocons decide that a nuclear holocaust is preferable to a loss of power in the USA, then there is nothing anybody can do to prevent them from playing out their own, sordid, version of Götterdämmerung. I have recently had to spend a few days in Boca Raton, were a lot of that new US “aristocracy” likes to spend time and I can tell you two things: life is good for them, and they sure ain’t giving up their privileged status as “leaders of the planet”. And if somebody tries to take it away, there is no doubt in my mind that these people will react with a vicious outburst of Samson-like despair-filled rage. So the only question remains this: will we (mankind) be able to take away the nuclear button from this class of parasites without giving them the chance to press it or not? So, will it be a horrible end or a horror with no end? But what I know is that the Empire is cracking at all its seams and that its decline will only accelerate in 2019.